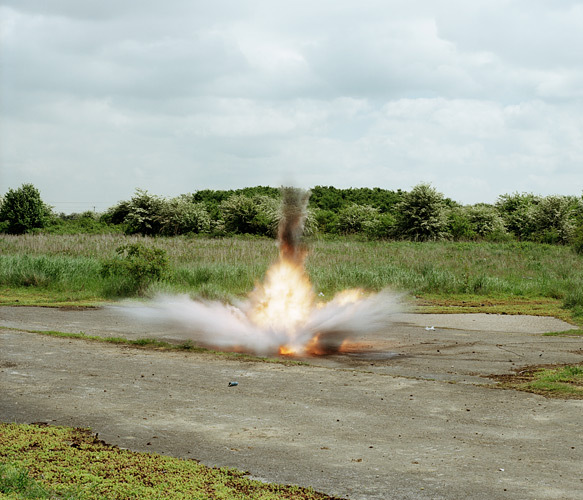 " Pickering’s Explosion photographs are shot at sites where fake bombs are deployed for military personnel interested in buying pyrotechnics. Manufactured by some of the same companies that make explosives for action/adventure and war films, the bombs are built for use in military training exercises. 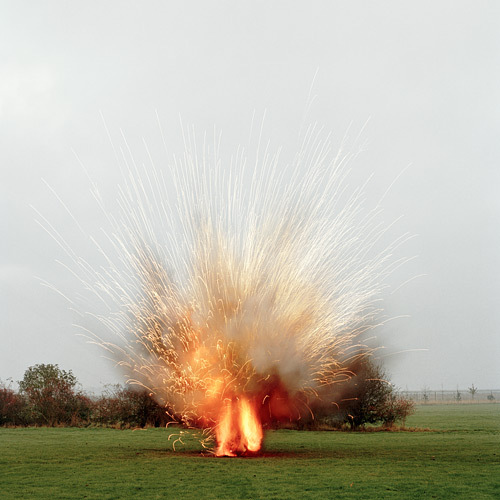 Pickering captures the explosions as they are detonated in demonstrations, isolated in a benign landscape void of people and infrastructure. 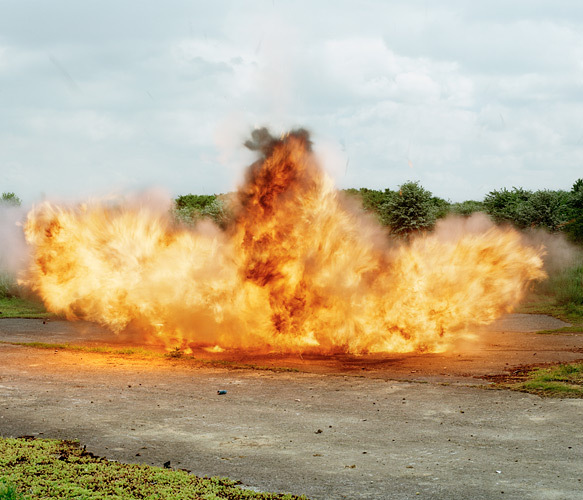 Made to imitate artillery, napalm, and land mines, these explosions are controlled, and like toys or fireworks, are much smaller in scale than their real-world counterparts. The pictures Pickering makes of them are alluring. The clouds of smoke, all in different shapes and colors, hover a few feet above the ground as if a magic trick has just occurred, capturing a fleeting moment that is mysterious and beautiful, and odd in its lack of context." 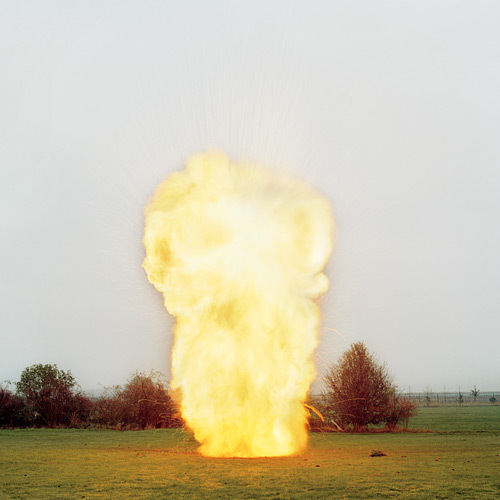 " I'm interested of course in the visual seduction of explosions, but also intrigued by the more disturbing aspect of the potential violence and our relationship to it. " " The explosion as a metaphor is a very powerful one. It represents an extreme state and conjures some visually rich imagery in our language, fusing fear, power, pleasure and the unknown. In a way the photographs I've made show the inadequacy of an explosion when packaged as a 'product' or captured as an image. "